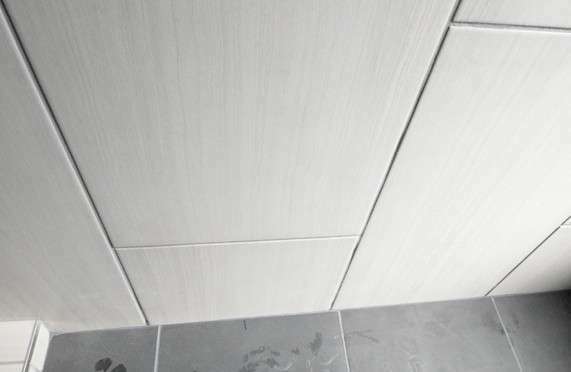 What to do about the tile in the master shower? She sent a note to Ron and Mark at Ranserve to ask whether this is possible to correct? This, for the record, is the first time Jacquela has objected to anything in this project. 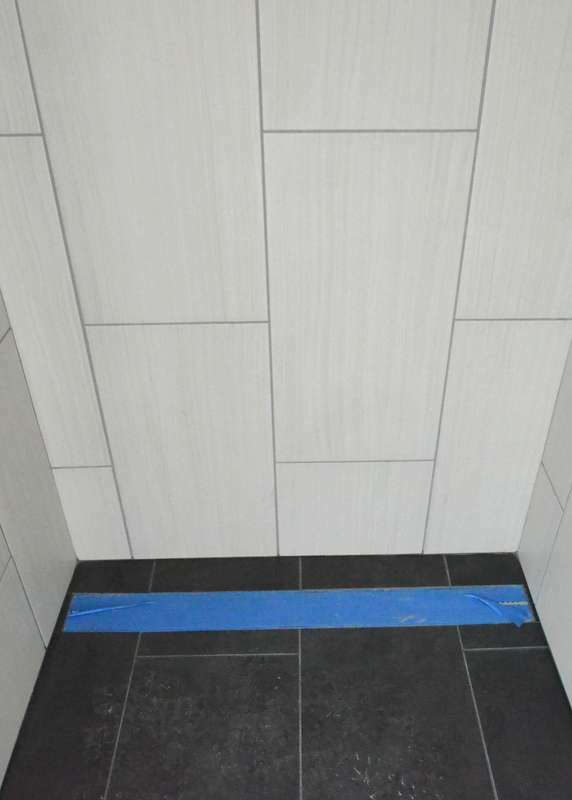 Above, here’s how the grout lines and tile do not align properly at one wall of the master shower. Here’s the opposite wall where it meets the floor, near the linear drain, with the grout lines offset from each other. This morning, Ron and Steve stood in the shower to discuss options. Then we checked the supply of floor and wall tile left over in the garage. There’s enough black floor tile to re-do the floor, if that is what we opt to do. Ron plans to discuss options with Julian, the tile setter.